Fall sure has arrived in Nova Scotia and the short-shorts and tanks are now being covered in layers of long sleeves. Debates of how cold it really is outside runs through my head as the leaves are starting to turn colours. Cold weather doesn’t stop us from running but it sure changes what you wear on your runs! Do I wear shorts and compression socks, long-sleeved shirts or sleeves with a t-shirt? I’ve done both! Not quiet ready to give up my short-shorts just yet and I love my compression socks on a long run. I don’t like when my arms get cold so I usually run in a tank with a long sleeve shirt over top. I can take it off at any time and tie it around my waist. I love when races have long sleeves as their “shirt”. Do I wear capris and ankle socks or compression socks on my long run? Usually if I’m wearing capris, I wear ankle socks. I save my compression socks for when I wear shorts. However, I have been known to wear my compression socks with capris before – it’s quite the sight! What reflective gear do I wear for the beginning of my early morning run vs the end of a night run? I usually start off my early morning runs with as much reflective gear as possible. Vest, arm or ankle straps and sometimes my clothing has reflection tape on it. 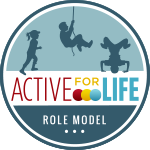 I also use this when I go biking – a person as got to be seen! Do you run with reflective gear on your footwear ? 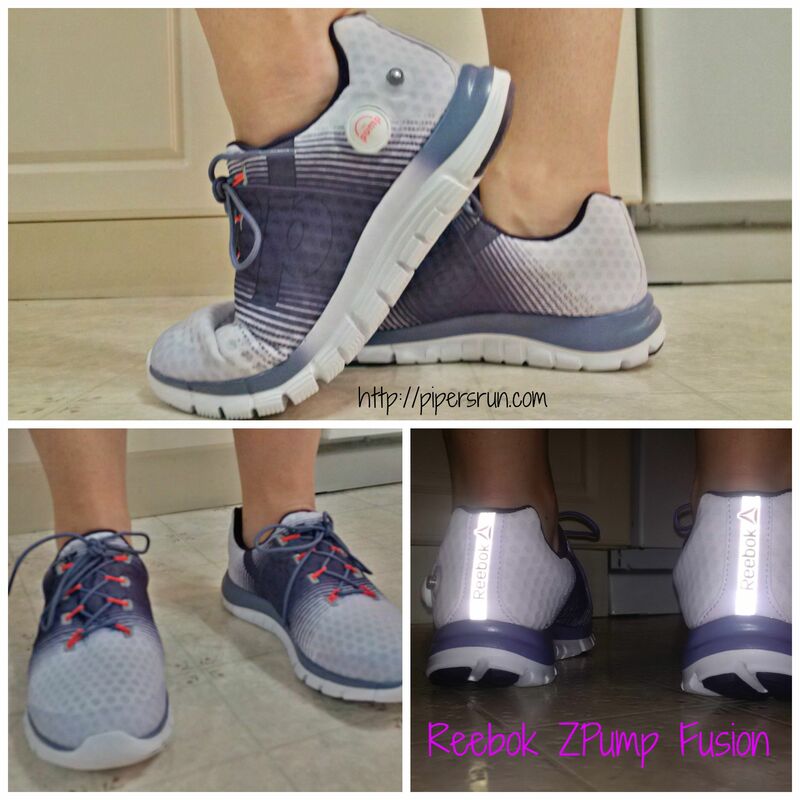 I’ve been testing out these Reebok ZPump Fusion sneakers to run outside. They are easy to put on and pretty comfortable. I like how they mold to your feet as you pump them up. My daughters think it’s funny to release the air for me. For night-time running, I love how they have a large reflective strip on the back – again, a person needs to be seen! 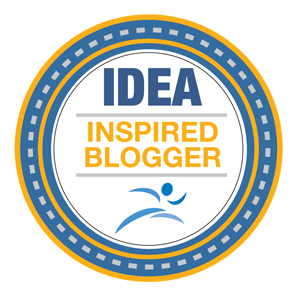 Don’t worry, I always wear my trusty Garmin and Road ID – I never run without my Road I.D. 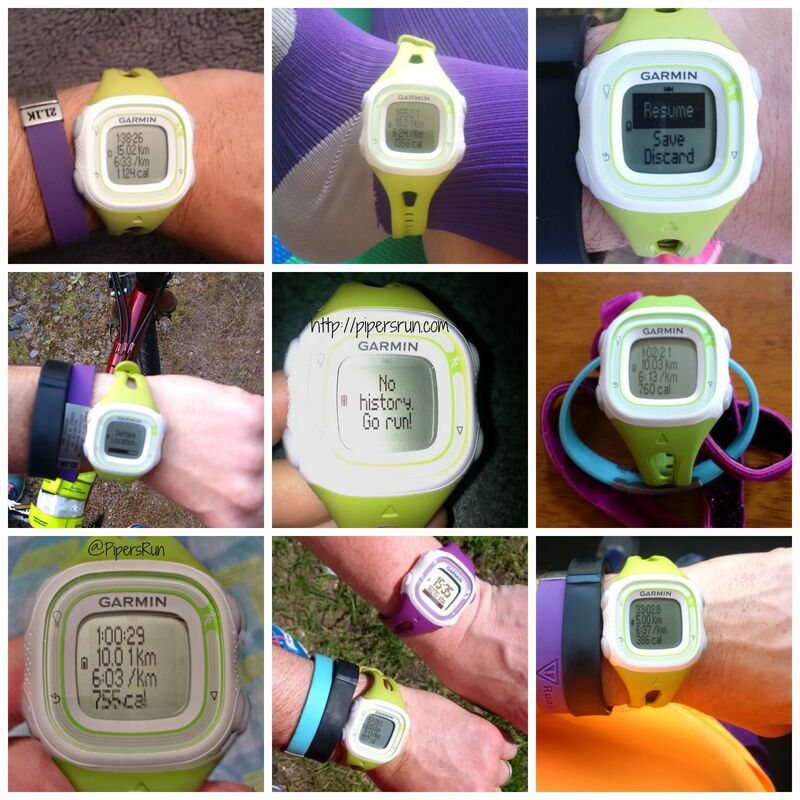 These are just a few of my fall…oops, I mean autumn running items I’ve been wearing lately. Do you have seasonal clothing for running? Are you loving the cooler temps? I love running in long-sleeves. It feels so cozy. I’m glad I’m not the only one. I ran last night in a long sleeve and so glad I did, it was cold and wet! You better believe I have reflective whatevers on my shoes. Or at least, I used to! The nikes don’t really have them, which is weird and a bit disconcerting. But thanks to Ragnar and coaching, I now have a running vest and beacon. I’m all about the reflective gear – we need to be seen! Gotta love when you get gear with reflectives on it! I’m looking forward to wearing some capris and long sleeves, but we aren’t quite there yet! It’s still in the 50-60s, which still means shorts and a tank for me. Sounds like autumn is really in full swing where you are!! The temps dropped significantly here 😦 I miss the warmth of the sun! Autumn is definitely in full swing now! I have an addiction to running clothes. I have them for all seasons, but honestly I just love being able to throw on shorts and a tank. I dread the days of layering for cold. Ugh! I’m not looking forward to bundling up for winter running yet. I’m just trying to enjoy our current weather conditions ….brrr! I prefer long sleeves too. With capris. I really dislike running in shorts…always. Even when it is crazy hot out. I can’t wear capri’s on hot summer days do am thoroughly enjoying them now! I like the cold on my legs sometimes too. I usually don’t notice until I’m done running how cold my legs get! Sigh. I wore capris AND a long sleeve shirt this morning. It was 4C. Blech!! And yes, I agree, I LOVE when a race has a long sleeve shirt!! 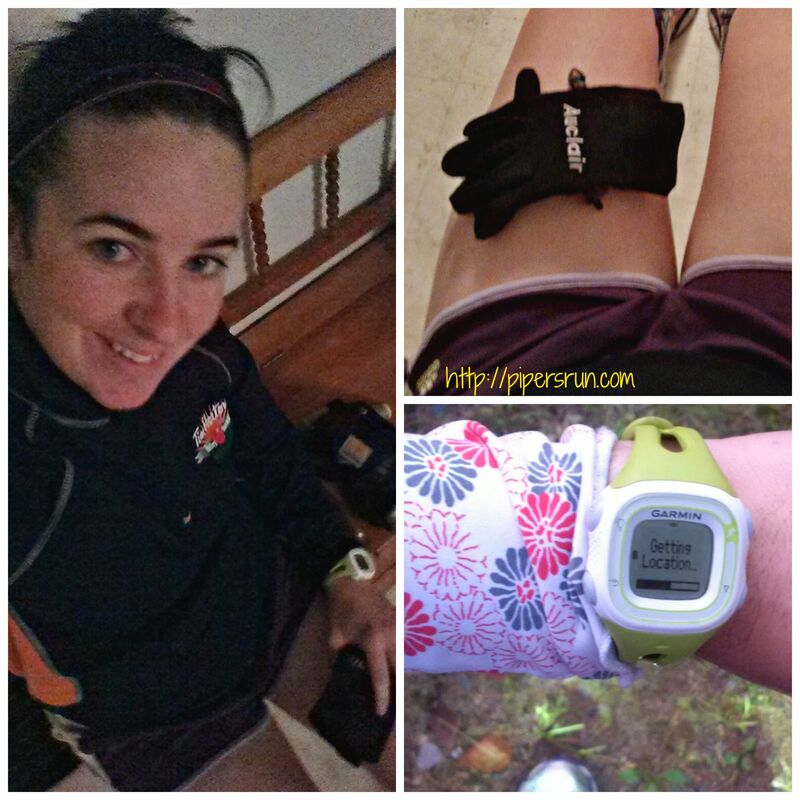 I managed to run run in shorts and a long sleeve today – even with a little rain. It was around 10C…I think. This week brings cooler temps so it looks like I’ll be pulling out my colder weather gear! It’s getting a little colder each week here. I like long sleeves with shorts, because my arms get cold more often than my legs do. And I TOTALLY wore capris with compression socks for my long run on Sunday. I’m sure I looked ridiculous!